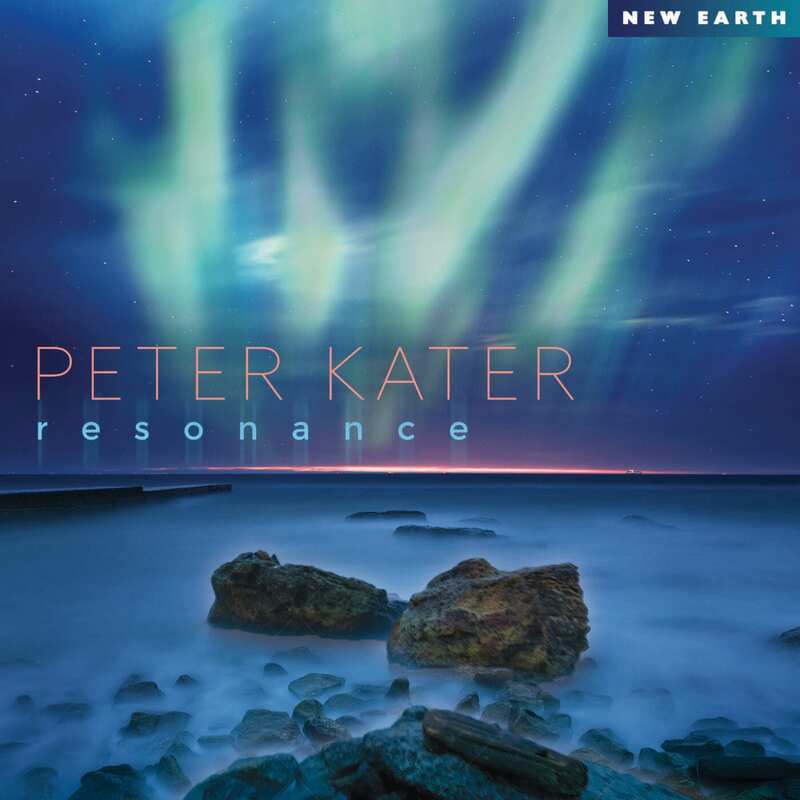 Peter Kater is one of the top pianists in new age music, virtually the personification of new age piano music. His new album, RESONANCE, is simply one of those great, mellow, relaxing, contemporary-instrumental recordings that makes the listener feel better than when it started. The music is melodic one moment and floating-ambient the next. He has created an album not to be missed by new age music lovers. Peter Kater has recorded over 60 albums resulting in the sales of millions of units, has scored the music for more than 100 television and film productions as well as a dozen dramatic plays (on and off Broadway), and is the proud recipient of the Environment Leadership Award from the United Nations as well as 11 Grammy Award nominations. These Website Standard Terms and Conditions written on this webpage shall manage your use of our website, newearthrecords.com accessible at www.newearthrecords.com. These Terms will be applied fully and affect to your use of this Website. By using this Website, you agreed to accept all terms and conditions written in here. You must not use this Website if you disagree with any of these Website Standard Terms and Conditions. Other than the content you own, under these Terms, New Earth Records, Inc. and/or its licensors own all the intellectual property rights and materials contained in this Website. In these Website Standard Terms and Conditions, “Your Content” shall mean any audio, video text, images or other material you choose to display on this Website. By displaying Your Content, you grant New Earth Records, Inc. a non-exclusive, worldwide irrevocable, sub licensable license to use, reproduce, adapt, publish, translate and distribute it in any and all media. Your Content must be your own and must not be invading any third-party’s rights. New Earth Records, Inc. reserves the right to remove any of Your Content from this Website at any time without notice. This Website is provided “as is,” with all faults, and New Earth Records, Inc. express no representations or warranties, of any kind related to this Website or the materials contained on this Website. Also, nothing contained on this Website shall be interpreted as advising you. In no event shall New Earth Records, Inc., nor any of its officers, directors and employees, shall be held liable for anything arising out of or in any way connected with your use of this Website whether such liability is under contract. New Earth Records, Inc., including its officers, directors and employees shall not be held liable for any indirect, consequential or special liability arising out of or in any way related to your use of this Website. You hereby indemnify to the fullest extent New Earth Records, Inc. from and against any and/or all liabilities, costs, demands, causes of action, damages and expenses arising in any way related to your breach of any of the provisions of these Terms. New Earth Records, Inc. is permitted to revise these Terms at any time as it sees fit, and by using this Website you are expected to review these Terms on a regular basis. The New Earth Records, Inc. is allowed to assign, transfer, and subcontract its rights and/or obligations under these Terms without any notification. However, you are not allowed to assign, transfer, or subcontract any of your rights and/or obligations under these Terms. These Terms constitute the entire agreement between New Earth Records, Inc. and you in relation to your use of this Website, and supersede all prior agreements and understandings. These Terms will be governed by and interpreted in accordance with the laws of the State of us, and you submit to the non-exclusive jurisdiction of the state and federal courts located in us for the resolution of any disputes. We are a Data Controller of your information. If you are a resident of the European Economic Area (EEA), you have certain data protection rights. If you wish to be informed what Personal Information we hold about you and if you want it to be removed from our systems, please contact us. The right to access, update or to delete the information we have on you. newearthrecords.com follows a standard procedure of using log files. These files log visitors when they visit websites. All hosting companies do this and a part of hosting services’ analytics. The information collected by log files include internet protocol (IP) addresses, browser type, Internet Service Provider (ISP), date and time stamp, referring/exit pages, and possibly the number of clicks. These are not linked to any information that is personally identifiable. The purpose of the information is for analyzing trends, administering the site, tracking users’ movement on the website, and gathering demographic information. Like any other website, newearthrecords.com uses ‘cookies’. These cookies are used to store information including visitors’ preferences, and the pages on the website that the visitor accessed or visited. The information is used to optimize the users’ experience by customizing our web page content based on visitors’ browser type and/or other information. Note that newearthrecords.com has no access to or control over these cookies that are used by third-party advertisers. You can choose to disable cookies through your individual browser options. To know more detailed information about cookie management with specific web browsers, it can be found at the browsers’ respective websites. What Are Cookies? Another part of our priority is adding protection for children while using the internet. We encourage parents and guardians to observe, participate in, and/or monitor and guide their online activity. newearthrecords.com does not knowingly collect any Personal Identifiable Information from children under the age of 13. If you think that your child provided this kind of information on our website, we strongly encourage you to contact us immediately and we will do our best efforts to promptly remove such information from our records.